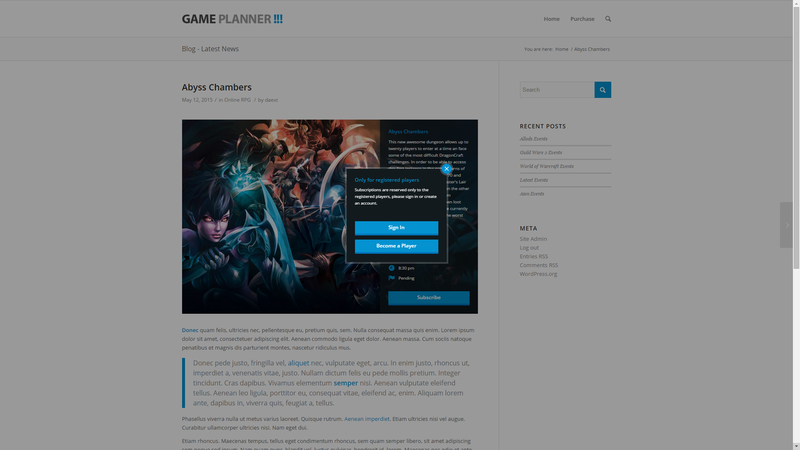 Game Planner is a WordPress plugin that allows you to organize events for online multiplayer games. 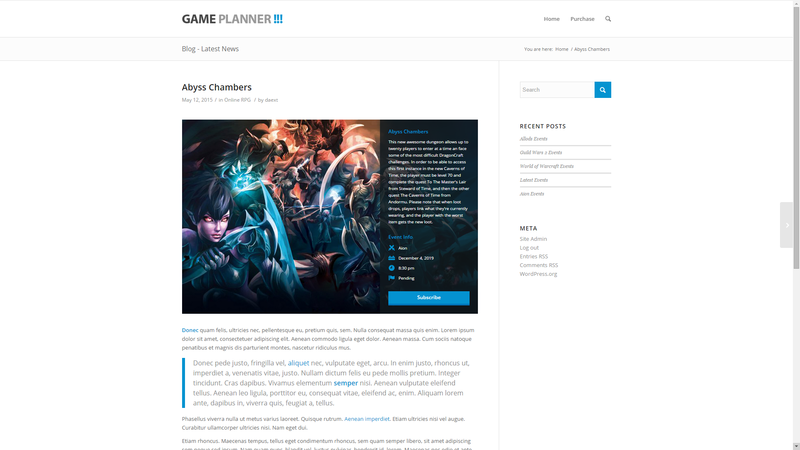 Can be used for example to create Instances and Raids for MMORPG games, to organize Clan Wars for a First Person Shooter, to plan Tournaments for Online Sport Games and more. Games are used in the events and determine the roles available during the creation of an event, the default image associated with a game and if the name of the character is required. 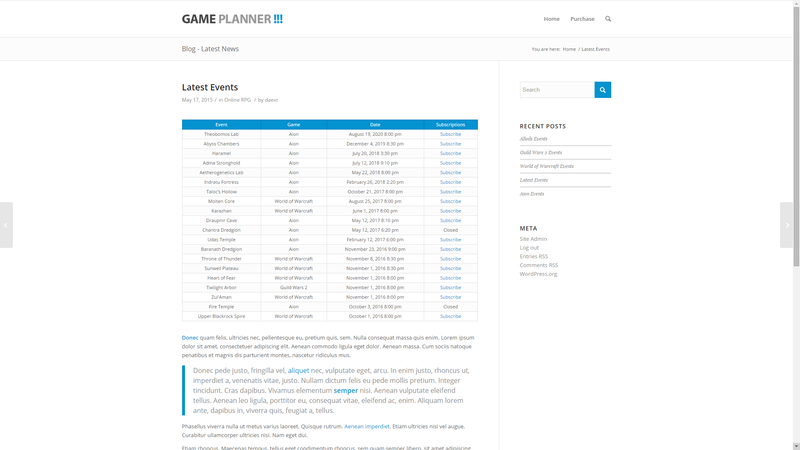 The core of Game Planner are the events, with them you can plan online Instances, Raids, Clan Wars, Deathmatches, Tournaments and so on. 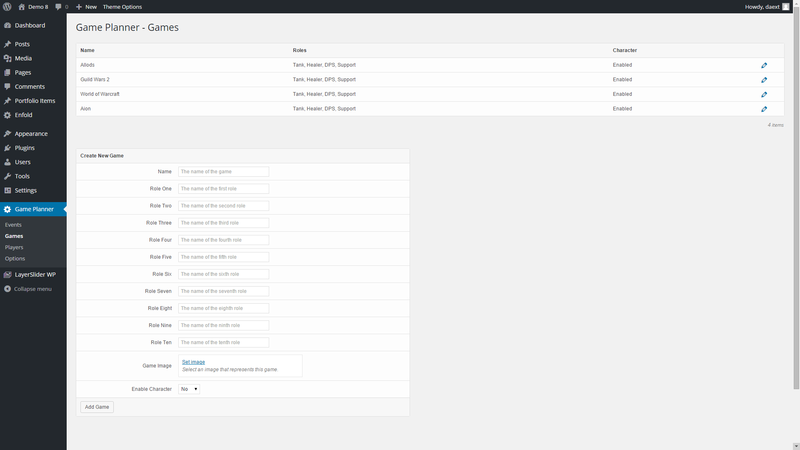 Event Cards are used to show details about specific events and to collect subscriptions from the registered players. 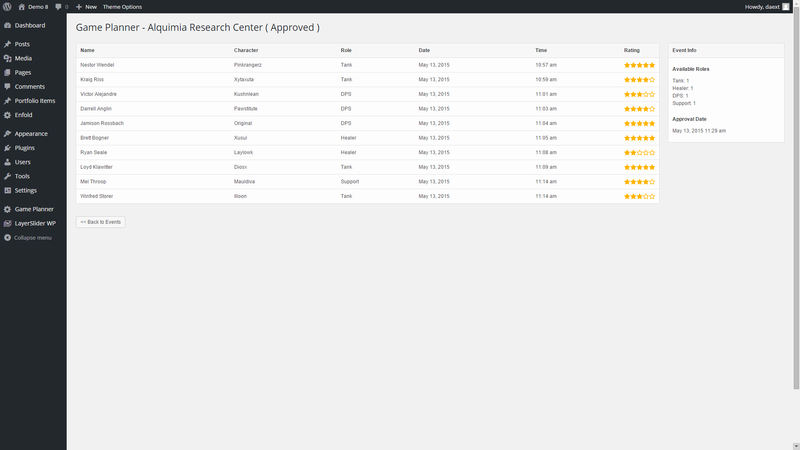 The Event Card button available in the TinyMCE editor allows you to easily include Events Cards in your posts, pages or custom post types. 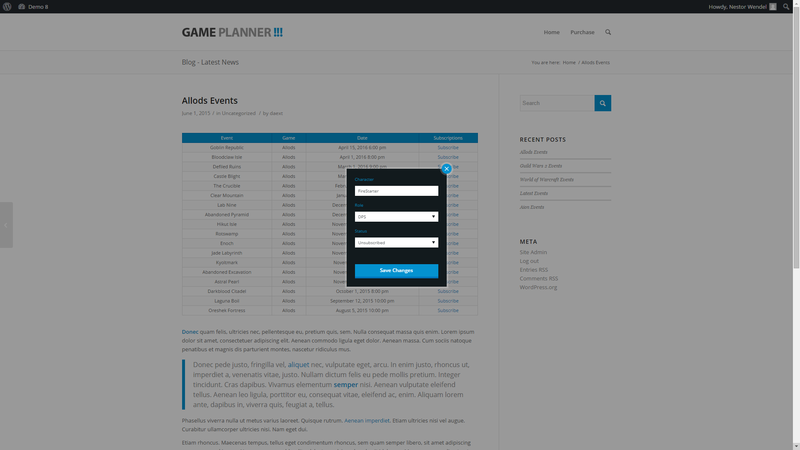 Events tables are used to list events related to a specific game or the overall list of events. The Events Table button available in the TinyMCE editor allows you to easily include Events Tables in your posts, pages or custom post types. 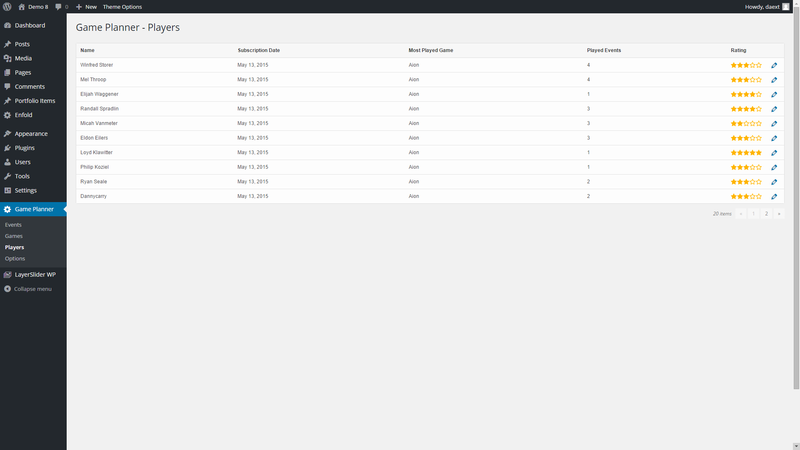 The registered players will be able to subscribe to your events simply by visiting a post, page or custom post type that includes an Event Card or an Events Table. The approval process of an event allows you to move an event from the Pending status to the Approved status. Approved events will be automaticaly closed to new subscriptions and the approved and rejected players will be notified with an email ( if the email option has been selected ). 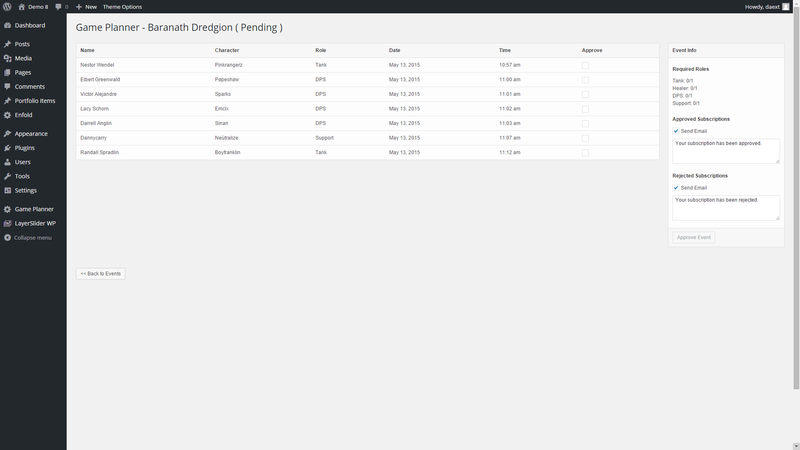 Without emails the players subscribed to the event will still be able to get information about the status of the event by visiting their subscriptions log. All the registered players have the capability to access the log of their subscription in the back-end of your website. 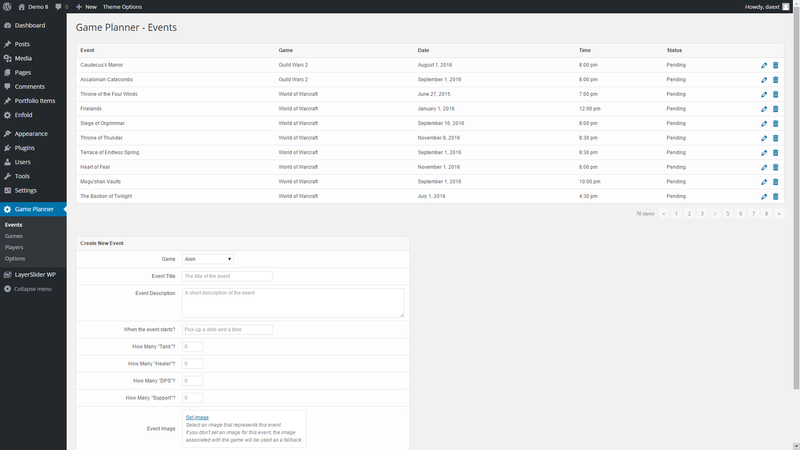 This log is useful to let them keep track of all their subscriptions and see the related status. With an MMORPG you would create for example a game named “World of Warcraft” with Tank, Healer and DPS as the roles and the character enabled. Then you would create the “Karazhan” event ( associated with the “World of Warcraft” game ) and set as the required roles two Tanks, two Healers and six DPS. Your subscribed players will be able to subscribe to the “Karazhan” event, assume one of the required roles and enter the name of the character associated with the subscription. With an FPS you would create for example a game named “Call of Duty” with the Soldier and the Sniper as the roles and the character disabled. Then you would create the event “Clan War against ABC team” and set as the required roles eight soldiers and two snipers. Your subscribed players will be able to subscribe to this new event and assume one of the two required roles, the name of the character won’t be required during the subscription process. With a sport game you would create for example a game named “Soccer 2015”, set a single default role named “Standard Player” and the character disabled. Then you would create the event “Soccer Tournament with my friends” and set as the required roles 32 “Standard Player”. Your subscribed players will be able to subscribe to this event and assume the “Standard Player” role, the name of the character won’t be required during the subscription process. There is no limit on the maximum number of players supported in a single event, you can for example create an MMORPG instance that requires only five players or a big tournament with 1000 players. 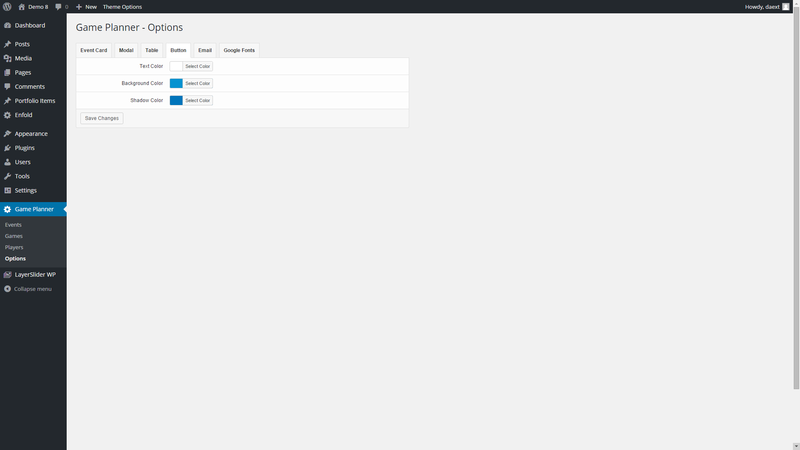 Subscriptions to the events are reserved only to the registered players. 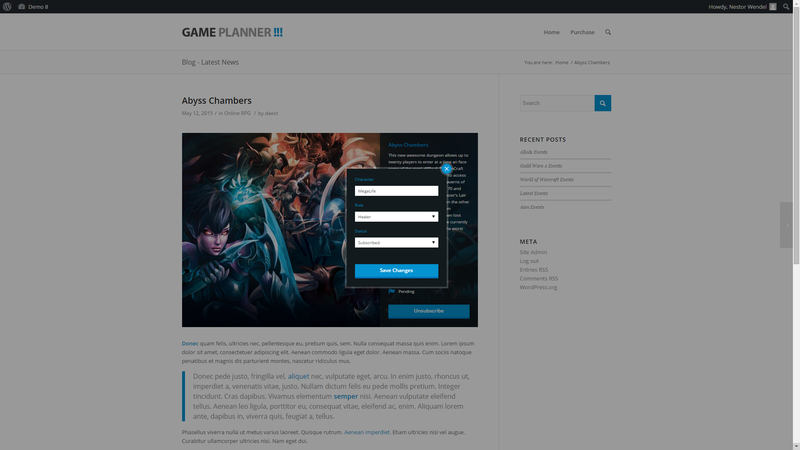 The “Player” is a special WordPress role created by Game Planner with two capabilities, a custom capability created and used only by Game Planner which allows the user to subscribe to the events ( namely “dagp_subscribe_to_events” ) and a default capability which allows the user to visit his subscription log on the back-end ( namely “read” ). 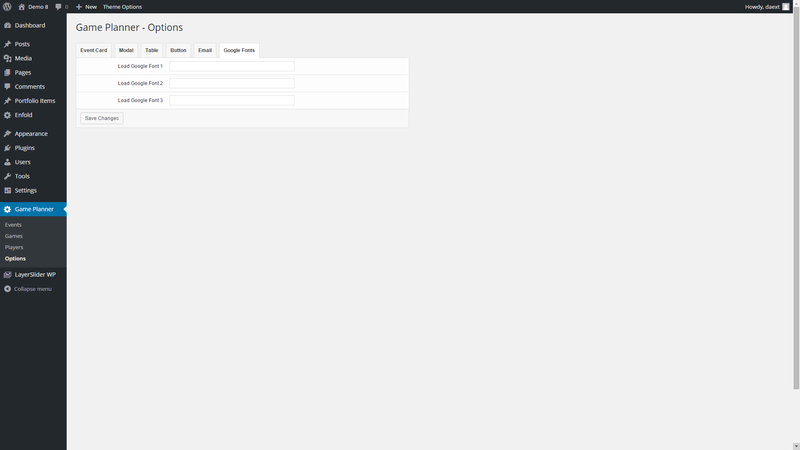 Don’t worry about the security of your WordPress environment, the users logged in as a “Player” have no other capabilities other that the two mentioned above. For more information about the WordPress roles and capabilities check out Roles and Capabilities. DateTimePicker licensed under the MIT License. 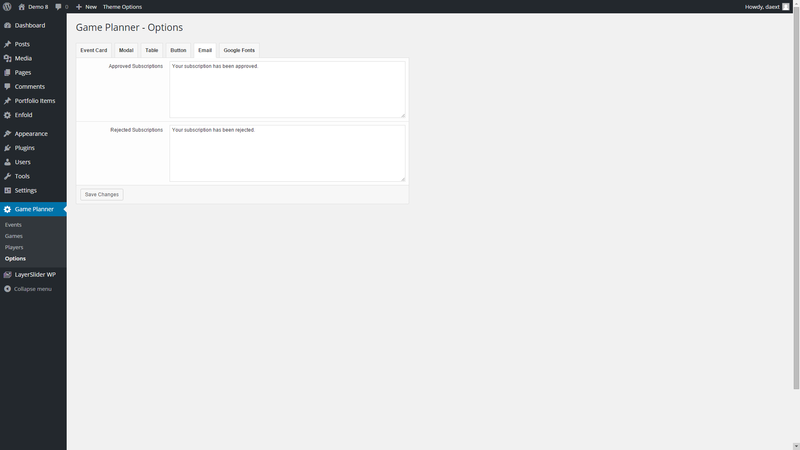 Chosen licensed under the MIT License. Compare individuals, sports teams, institutions, nations, companies, or other entities by ranking them in order of ability or achievement with League Table for WordPress, one of the best-selling table plugins on CodeCanyon.